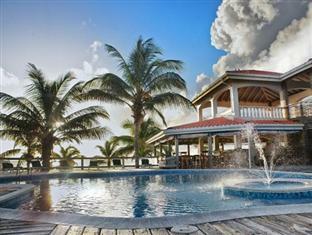 ﻿ Best Price on SunBreeze Hotel in San Pedro + Reviews! Have a question for SunBreeze Hotel? Designed for both business and leisure travel, SunBreeze Hotel is ideally situated in San Pedro; one of the city's most popular locales. Only away, this 4-star hotel can be easily accessed from the airport. This modern hotel is in the vicinity of popular city attractions such as Belize Chocolate Company, 12 Belize, San Pedro Airport. SunBreeze Hotel offers impeccable service and all the essential amenities to invigorate travelers. Guests of the hotel can enjoy on-site features like 24-hour front desk, facilities for disabled guests, Wi-Fi in public areas, room service, airport transfer. Hotel accommodations have been carefully appointed to the highest degree of comfort and convenience. In some of the rooms, guests can find television LCD/plasma screen, internet access – wireless (complimentary), non smoking rooms, air conditioning, wake-up service. The hotel offers wonderful recreational facilities such as sauna, outdoor pool, spa, massage, garden to make your stay truly unforgettable. Discover an engaging blend of professional service and a wide array of features at SunBreeze Hotel. Location was perfect, people extremely friendly and helpful, lovely hammocks! The stay was great. Staff was extremely friendly and helpful and the location was just fantastic. Clean hotel, and overall great value for the money. A/C temperatures were off, and the wifi was only available in the courtyard, but other than that - really a great hotel for the price. I have stayed here 3 times now since Jan. I love it. I have tried other spots but i always come back. The front staff know me by name. The beds are so comfortable. The rooms are spacious and clean. I would totally recomend this hotel to all my friends and family.